Wicked vibes all round on this one. Huge build ups ascend into the minimalistic style drops hitting you with big low end and naughty halftime cuts. The tracks love for constant switch ups and changes in character kept me on my toes wondering what was next. PMTVB is one of my favourites from the EP. ‘Lit in The Rave’ gives us a taste of their ravey, dark sound once more. Grimey vocals open up the track with huge energy, bound to hold any ravers’ attention, which then transitions into pure square wave madness. As a producer myself, I found that the different stereo shaping on the main synths adds some real character to the track overall. ‘Noise’ comes with some really cool detuned synth work. Again, Dope present to us interesting switch ups and slight but key, changes in character throughout. Packing a huge punch, we’re introduced to Dope’s more wonky 'n’ weird side. The track feels a little less syncopated than the other tunes on the EP which I’m excited about. From it’s eerie melodies to it’s combination of swooping wet and dry basses, this one’s bound to pop off in the rave. Real groovy one to conclude the EP. I’m really loving the simplicity of the intro which contrasted into that cheeky fat lead. Their signature synths complement the lead (and each element of the mix) with ease which nicely ties up a well written, diverse EP. 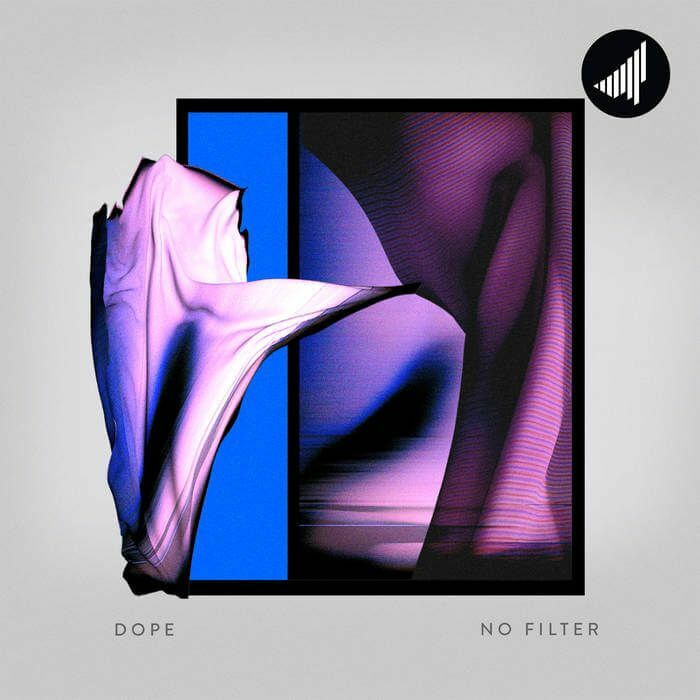 Dope’s ‘No Filter’ EP also features huge remixes by Moniker, FRQ NCY & Nick P.
UK Based halftime producer, currently living in Bristol.